When the German touring car series (DTM) returns to Germany, it always brings thrilling moments. 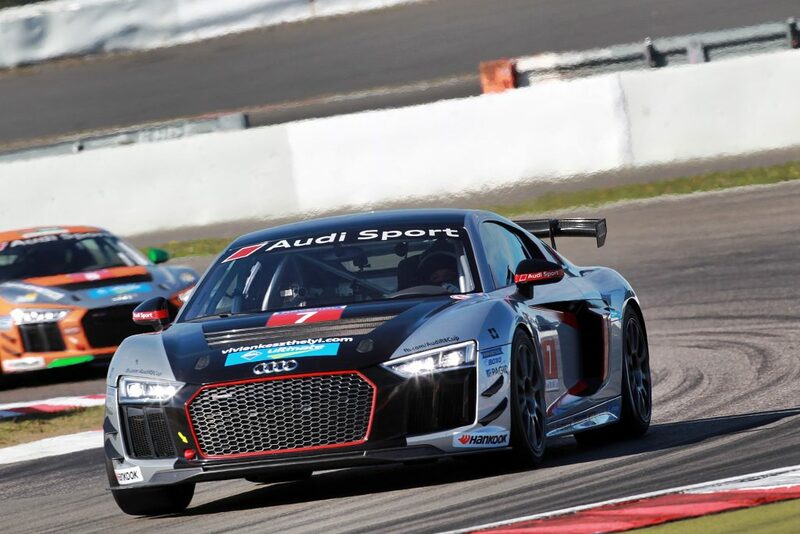 At Nürburgring, however, the last racing weekend of the Audi R8 Cup was in the centre of attention, as a Hungarian teenager produced unprecedented success on the international level. Vivien Keszthelyi, who had competed confidently throughout the whole season, wrote her name in the history of auto sports. The hardships came as early as Friday. In the absence of an engineer, Vivien’s car was poorly set for the rainy free practices, which resulted in the Hungarian racer finishing 12th on both occasions. “We knew way before the weekend that we would have to compete without an engineer. I was far from my fastest laps, because we did not find the right setups today, but fortunately the real test will only come tomorrow” – said Keszthelyi after the second free practice. The first qualifying session went better. As she could not expect technical assistance, Vivien turned to tactics. She ended up with the 7th best time as she only ran a few fast laps in order to preserve the tyres. She started the race well as she was in the 5th position after 3 laps. The safety car pulled the racers together again following an accident, but Vivien managed to keep her place and was right behind her biggest rival, Bartosz Paziewski. It would have been understandable if she had concentrated on collecting valuable points by driving safely, but the young Hungarian driver was not raised like that. She tried hard to get ahead of the Polish racer. A promising overtaking attempt ended unluckily for her, when Paziewski defended his position in the inner curve of a corner, the two cars collided. The Pole’s car span, while Vivien’s right front tire balked. She was able to take the R8 through the finishing line, but she received a 30 seconds penalty for the race accident, which eventually put her in the 11th place. “I love racing, so my conscience does not let me choose the safe way. It does not matter how many points are at stake, I will always try to give my best” – said Vivien after the first race. The overtaking attempt cost a lot for her, as Paziewski – who finished in the 7th position – reduced the gap at the absolute table behind the second placed Hungarian driver to only 3,5 points. The final day of the season began with the second qualifying session, where Vivien preserved her tyres in the best condition again. Even though she only ran the 9th fastest time, she could wait for the race in the 7th position due to the technical issues of the other drivers. She started well as she got five positions ahead, occupying the 2nd place after the first lap. Again, it was a Polish racer who she battled against, but this time it was Vivien’s turn to keep Robin Rogalski behind her. The Pole used every opportunity to attack her, which lead to the incident in the eighth lap. Vivien’s bad luck in the weekend continued, when Rogalski hit the 17 years old lady’s car, causing it to spin around and pushing the teenager who had a promising race until then back to the 6th place, which also put her 2nd place at the absolute standings in danger. Although the situation seemed to be hopeless, Vivien showed her fighting spirit again. She reduced her disadvantage continuously and finished 4th with a fantastic overtake in the final lap. It was another extraordinarily intelligent race from the extremely talented Hungarian. After the last race it was certain: Vivien Keszthelyi finished at the 2nd position of the absolute standings. 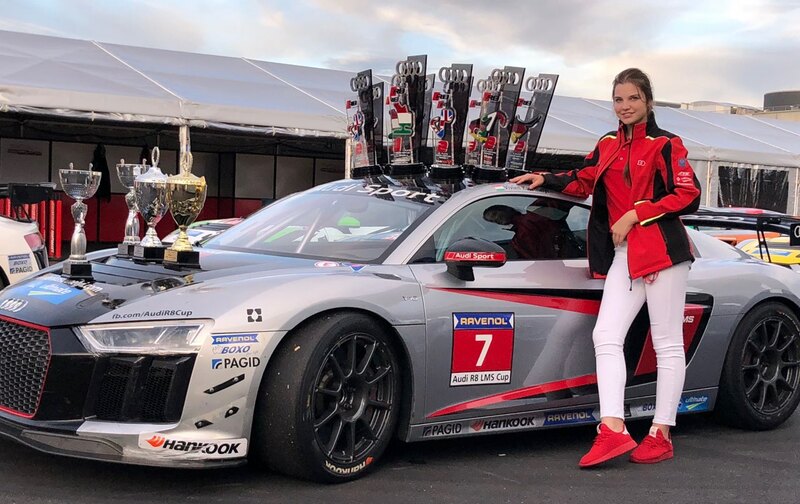 With this achievement, she became the youngest female racing driver in the history of international GT4 championships, who finished on the podium. The Hungarian lady put the icing on the cake of a great season by bagging the trophy of the rookie category. “It is an absolutely amazing feeling! It is the biggest achievement of my career so far. I am grateful to everyone who helped me to make it happen, because I could not have done it without their support. My parents, the Audi Sport Racing Academy, my friends, the supporters and the sponsors all contributed to this success. I recommend this trophy for those who always believed in me and supported me” – said the record-breaker teenager after the awarding ceremony. 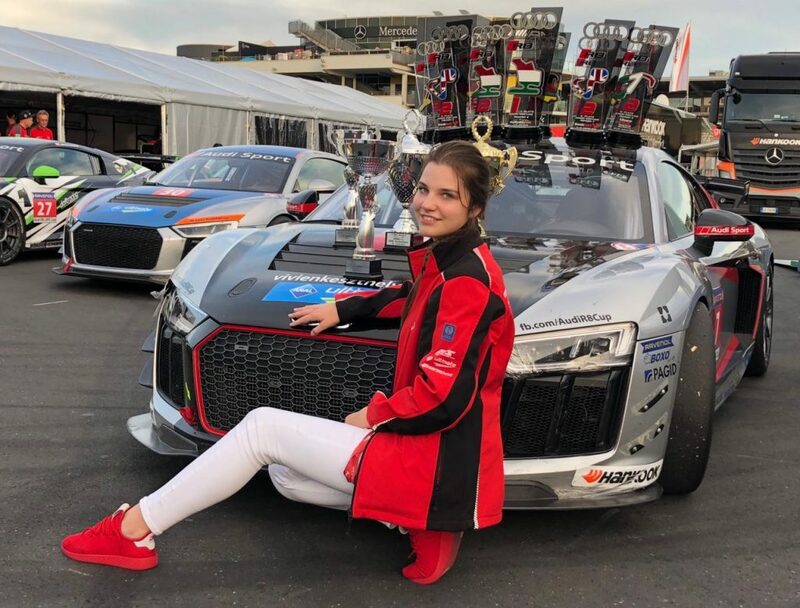 Even though Vivien said that the absolute 2nd place of the Audi Sport Seyffarth R8 LMS Cup has been the biggest achievement of her career so far, looking at her age we it is safe to state: this is just the beginning.